Tweets, likes, regrams, follows, hashtags, RTs, #YOLO… It’s not always easy for businesses to unpick and realise the value of social media. Often social media can seem throwaway, frivolous or a waste of time. Yet look to some of the most successful digital brands out there. The vast majority have a thriving social media presence across multiple platforms into which they pour substantial resources. Whether you’re an SME owner considering getting social to boost your business, or a marketing professional keen to impress on your higher ups exactly why social matters, this blog is for you. Here we’ll be explaining exactly why social media matters to your business. Let’s start with why social matters. The key to understanding the value of social media for your business is recognising that social media is a tool like no other. Social media puts you in direct contact with consumers and other businesses in an informal setting. It’s an easy-to-harness doorway direct to your market and there’s, quite simply, nothing else like it. Unlike email marketing or paid advertising, social media allows you to connect on a cost-effective and unintrusive basis with the people who matter most to your company – your target consumers. No matter how many surveys you run or customer personas you build, gathering real time, real life data via social media will always be the very best way to learn more about your customer base. From the distances they run and the celebrities they follow, to their political persuasions and typical Friday nights, people love to share their lives via social media. This gives businesses a unique and valuable opportunity to get closer to their target market, learning more and more about them. The better you know your customers, the better you can make your service. After all, knowledge is power! From exploring and connecting on an individual basis, to harnessing tonnes of information about your key demographics via analytics tools, there are lots of ways to gather facts about your customers via social media. From exploring relevant hashtags, to setting up a geo search, there is now a multitude of ways to connect with an audience predisposed to care about your brand. From individuals all over the world with an interest in your niche, to social media users in your local area, you can use social media to broaden your horizons and grow the reach of your business, however broad or narrow your scope may be. Many brands now use Twitter as an extension of their customer service offering. Perfect for solving small problems quickly and for building up a positive reputation through deft complaint handling, social media is increasingly important as a platform for customer service. Instant access, 24/7 responses, no “on hold” music and great publicity if you handle complaints well – it’s the future, especially for ecommerce companies and B2Cs. A big part of social media is being visible. Social media platforms allow you to contribute to the constant clamour of the web, providing businesses with a mouthpiece through which to make themselves heard. Play your cards right, build your presence and deliver compelling content and consumers may start coming to you as a “known brand”, seriously boosting your market share with minimal investment. Social media isn’t about the hard sell, instead it’s about the slow burn. Building brand awareness will ensure your business is at the front of consumers’ minds when they eventually require a product or service similar to yours. It’s also about building and nurturing relationships which gradually turn into valuable leads. This is a place to connect, not a place to sell. Yet frequently strong, positive connections turn into sales further down the line. Part of the beauty of social media is its affordability. With a relatively small budget, small businesses can do rather a lot with the right strategy. With no barrier to entry, clever social media is one of the cheapest, most cost-effective digital marketing techniques available. From potential partners to possible shareholders, social media isn’t just a space for connecting with consumers, it’s also a great place to cement your professional reputation. By connecting with your industry socially and getting involved in debate and discourse online, you can start to carve a name out for your business online within your niche. With reputation comes brand awareness. If you can connect enough to gain a reputation as an industry expert, you’ll start to find valuable opportunities springing up both online and offline. Who knows where social could take your company? Now you’re up to speed with some of the “whys” it’s time to look at the “hows” of social media marketing in 2015. This is a rapidly evolving corner of digital marketing, which means it pays to maintain best practice while keeping tabs on the fresh new ideas and techniques coming to the fore. Here are three crucial trends to be aware of as you begin your social media campaign. As organic reach via social media lessens (as the marketplace becomes ever more flooded), connecting with your audience through paid social media is becoming increasingly important. It’s also still very cost effective, especially since native advertising through platforms like Twitter, Facebook and YouTube is proving to be particularly powerful at the moment. The best approach is to use these platforms to promote content developed for your target market, hosted on your website. This boosts traffic, increases brand awareness and can help develop brand loyalty too. Once upon a time it was nigh on impossible to measure the effectiveness of social media marketing, let alone prove ROI. Today measurement tools for social media are becoming more and more sophisticated. From utilising UTM parameters get a clear picture from Google Analytics about your social media activity, to employing tools like Nimble and uberVuTool to analyse social campaigns according to platform, target audience and content type, social is getting more measurable by the minute. This means it’s also becoming more precise, as better information helps businesses fine tune their campaigns. We’ve already spoken about just how useful social media is as a tool for improving customer service, yet 140 characters aren’t always enough to solve customer problems. Equally, some issues are too sensitive for social media. That’s why some companies are now pioneering “tweet to call” links. These unique, individual links are DM’d to customers, giving them direct telephone access to the company in question and a personal customer service rep.
Once the call is complete, the link is deactivated. This ensures brands can solve problems quickly and privately, while embracing the convenience and accessibility of social media. 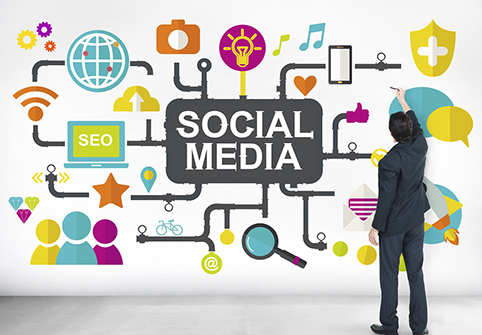 Which 2015 social media trend would most benefit your business? Are you still tentative about embracing social media as a digital marketing tool? Please share your qualms, questions and opinions below. Great article, good collection keep posting & good informative. Nice Article written , Social Media is Free promotion promotion for any Business and make your Online Presence . I totally agree with it. Thanks for reading my article. Thanks for sharing the wonderful ideas. Providing assistance in something I am doing myself . @waheed I’m glad you find it useful. Comprehensive tips here Laura! Generating long term leads and brand awareness is essential, but we’ve found those metrics hard to measure! The scope of social media is so vast that measuring these metrics could be complex. But that doesn’t offset the importance of social media for business promotion. Thank you so much for such a great article. It is very impressive and Informative.